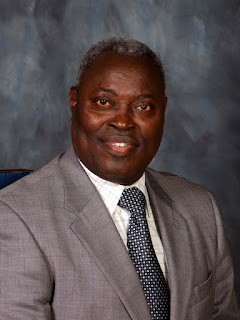 The General Superintendent of the Deeper Christian Life Ministry, Pastor William Kumuyi has urged the Federal Governments to ensure that the fight against corruption is not only holistic but also transparent. Describing corruption as the bane of development, the cleric said the war to stamp out corruption must not be done to witch-hunt anybody but with the singular purpose of building an enduring structure that will enhance National development. Speaking at a news conference to cap up with three weeks Lagos City-Wide Crusade held at the National Stadium, Surulere, Lagos, noted that described corruption as "disadvantage to the poor" also, warned crusaders of the fight to ensure that they are not also guilty of the same offence for which they are accusing others. The event, which attracted unprecedented mammoth crowd was organized by the Deeper Christian Life Ministry in collaboration with the Christian Association of Nigeria (CAN) and Pentecostal Fellowship of Nigeria (PFN), Lagos chapter. According to him, "The fight against corruption is legitimate and right but we should do it without witch-hunting or oppressing anybody." Kumuyi added that the goal of fighting corruption was to stamp it out and make people live and do the right thing; such that will contribute meaningfully to their lives and the growth and development of the country. He therefore charged those who are championing the fight to live exemplary lifestyle. "Those of us that are fighting corruption should make sure that we lay the example and we are free from that same corruption." The cleric also urged Nigerians to be patient with the governments and imbibe the spirit of sacrifice in order to contribute "to make Nigeria a truly great nation and giant of Africa."